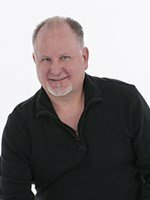 Blair Legault has been a professional salesperson for over 20 years. The last fifteen years have been as a real estate agent with Remax in Calgary. Blair's real estate achievements include the Remax Executive, President's and 100% Club, numerous top 10 awards, MLS Million Dollar Club, and the Remax Hall of Fame. Over the years, Blair's business has branched out to include owning a real estate brokerage in Puerto Vallarta Mexico, Relax Real Estate, and also owning & managing a vacation rental business. Recognized as one of Calgary's most innovative, knowledgeable and respected realtors, Blair brings honesty, integrity and professionalism to the industry. An experienced negotiator, he is constantly striving to get the best value for his clients. It is of paramount importance to Blair that he provides his clientele with the most accurate and current real estate information, giving them the ability to make a more informed decision. Blair has achieved a Bachelor's degree from the University of Calgary in Kinesiology. He was raised in Calgary and his whole family still resides there. He maintains strong ties to the community and is involved with local sport teams and associations. A true Calgarian, Blair works hard to give back to the city that has been so gracious to him, he wants to be your realtor! Your Calgary Real Estate & Customer Reviews, Testimonials & Comments are a valuable indicator of Blair Legault performance and is a reflection of his/her reputation. Hearing how your experience was during your real estate transaction is the best way to ensure we are providing a service in line with our customers needs and expectations.